The typical appraisal is basically a “risk assessment” for the lender – ordered by the Lender. The appraisal is NOT an attempt to fairly or precisely valuate the property. 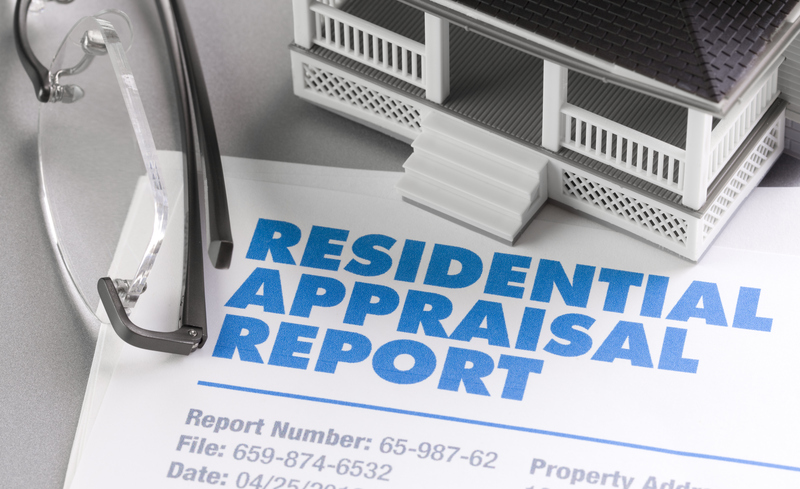 In fact, do not be surprised if the appraisal comes in exactly at the Sale Price… There is no motivation on the appraiser’s part to go above the Sale Price unless the recent home sale data strongly supports that. The lender probably just needs for it to come in at the Purchase Price so the loan-to-value assumptions are confirmed. The Buyer pays for the appraisal and that payment happens early on in the process. The timing of when the appraisal is ordered is up to the Buyer. Many lenders will suggest the appraisal be ordered AFTER the inspection process is successfully resolved. Just note, as a buyer this could really put you in a bind on your contingency deadline. The buyer may not automatically get a copy of the appraisal. This is because it is not technically “their” appraisal. The lender is the owner of the appraisal. Rarely, if ever, will the Seller see the appraisal unless it comes in below the contract price. If the Buyer requests a reduction in the Sale Price because the appraisal comes in low, the seller has a right to see it. Otherwise, it is confidential part of the Buyer Due Diligence process unless the buyer decides to share it. The way most lenders communicate the appraisal is ok is that it is “approved” or “acceptable”. Any details beyond that are a released merely as a courtesy. If the Appraisal comes back below the Contract Price and you feel it is in error, the chances of changing that appraisal are slim to none. Arguing is usually futile. In many cases, the buyer has to change lenders to get an objective second look at the valuation because the lender’s underwriter cannot ignore the first appraisal once it is received. In rare instances the lender may order a second appraisal if the first one is way off – but I would emphasize “rare” in these cases. Appraisers are selected through a rotation system. They may or may not be familar with the local neighborhood. If the loan is Jumbo (above $424k) or Super Jumbo (over $1M), expect two appraisals. At the very least expect a second appraiser to review the first appraisal even if they do not actually go out to the property. If the Buyer’s financing is FHA, the appraisal goes on file for 6 months – tied to the address. That means that if it comes in below the Contract Price, the seller is stuck for 6 months unless they want to settle for the FHA appraiser’s value OR they find a different buyer using conventional financing (NOT FHA). The appraisal is basically a “risk assessment” for the Buyer – ordered by the Buyer. Think of it as another Home Inspection Report. There is no oversight by a third party as to whether the appraisal confirms the Sale Price. If the contract gives the Buyer the right to object if the appraisal comes in below the Sale Price, the Buyer may or may not choose to do so. The Buyer does not have to ask for a reduction in the Sale Price but I would expect it. The Buyer is not required to do an appraisal even if they have the right to in the contract. If you have any other questions about the Appraisal process, please let us know and we can try to help you find those answers!